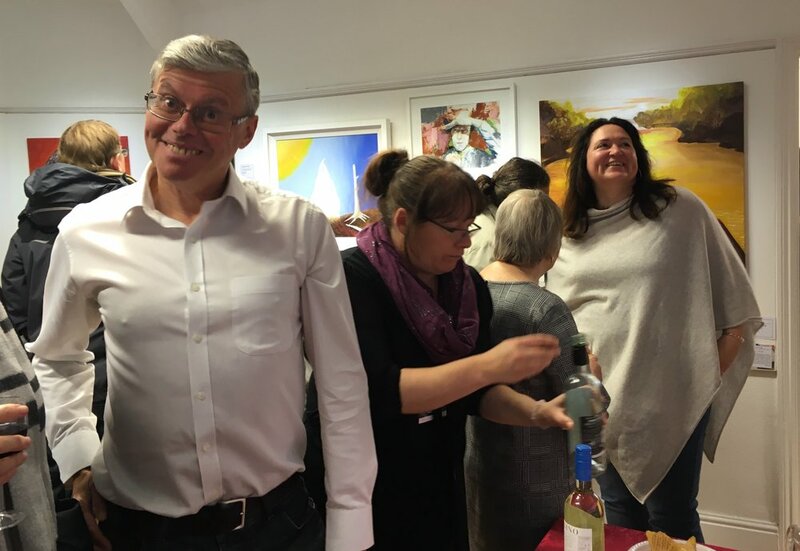 Kicking off the Autumn in style, Leamington Studio Artists have launched one of their biggest exhibitions to date. 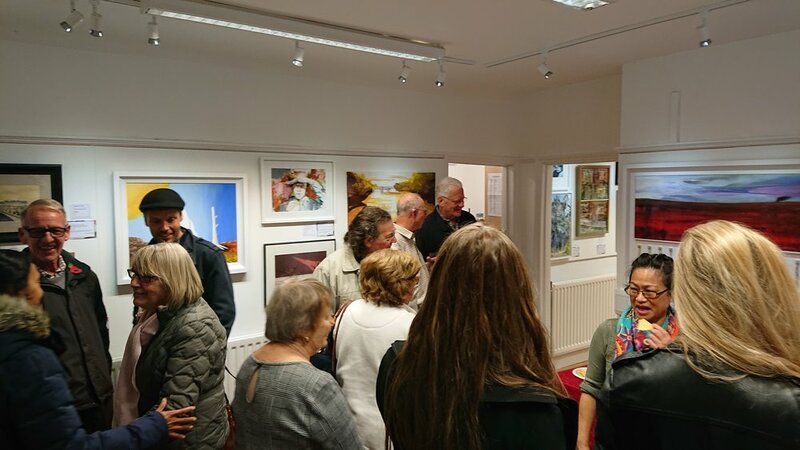 The ‘Annual Open Paintings & Illustrations Exhibition’ running until 28th October, comprises a wonderful array of artworks to suit all tastes. On display at East Lodge Gallery, Jephson Gardens are beautiful landscapes, rich colourful abstracts, virtuosic figurative inks and watercolours- plus much more! As per usual, members of the public are warmly invited to come along and view the artworks for themselves and to see this year’s winning artwork. 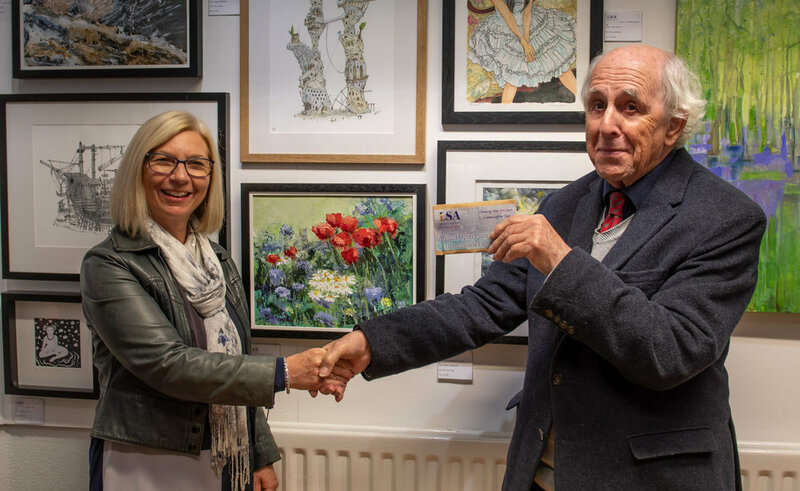 The winner of the ‘Annual Open Paintings & Illustrations Exhibition 2018’ is Leamington Spa based artist, Julia Essex. Her painting, ‘Poppies’, took first prize out of a total 77 artworks on display. With prizes totalling £150, this year’s judge was established artist and award-winning diorama expert, Marcus White. Also an article and feature editor for E Magazine, his work has been exhibited widely most notably at the Euro Miniature Expo 2018 and at ASVC Wombourne ScaleModel Show. With a strong interest in art history, military history and fine art techniques, Marcus, on judging the exhibition stated he had been, “honoured to preside as Judge over this prestigious local exhibition. After carefully considering every work in the show, he duly chose Julia’s painting because of its, “refined impressionistic technique in modern acrylic, using elements of impasto in a controlled sweeping motion.” Marcus decided upon the painting, ‘Poppies’, also for its deeper sentimental value- the correlation between poppies and that of remembrance. Julia Essex moved to Leamington Spa three years ago and is a ballet teacher by profession. She has always held a particular fondness for art and having only started painting seriously a few years ago; she has built up a strong and unique painterly style. Julia enjoys exploring the freedoms of painting especially expressive art and she likes to paint landscapes and natural scenes. Weather dependent- she has also tried her hand at en plein air painting! On her winning artwork, ‘Poppies’, her inspiration came from the beautiful surrounds and floral displays in Jephson Gardens, Leamington Spa. This exhibition is a real testament to the talent the local area has to offer. Whilst judging, Marcus White highlighted a number of other pieces he particularly admired. A special mention goes out to Guy Chapman’s ‘The Old Gallion’, Beverley Healey’s ‘Winter Sun’, and Christopher P Jones’, ‘Hydra II’. All works are available to view at the East Lodge Gallery, Jephson Gardens. Members of the public are also invited to cast their vote in the People’s Choice Prize. One artist will win £50 so make your vote count by visiting the gallery and escaping the cold! One of his works can be seen in September edition of Airfix Model World.